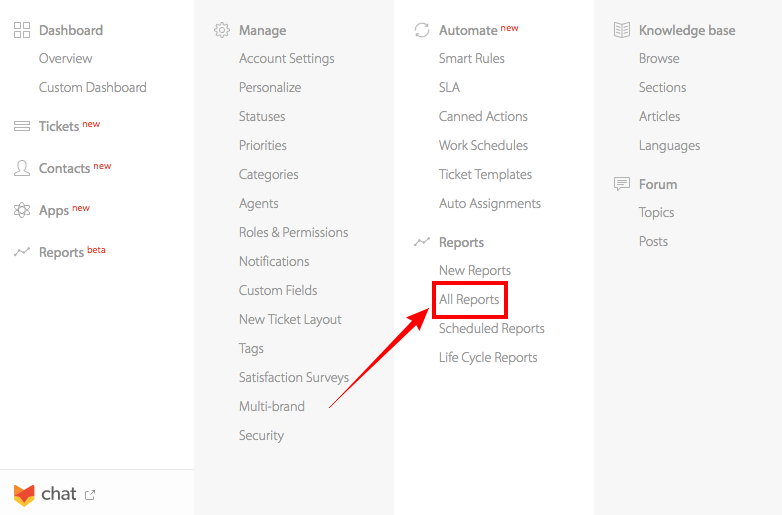 Agent Response View inside HappyFox Reports allows you have a quick overview of key helpdesk agent response statistics such as Average First Response Time, Average # of responses etc. This view presents an overall picture of response statistics, to drill down the respective response stats of each individual agent, go to "Agent Performance View". This Article pertains to "HappyFox Classic Reports". Available in all pricing plans. Where to View the "Response Stats View"? 3. Scroll down to the Tabular View and click on the Response Stats View icon. Average # of responses to completed state - the average number of agent responses on tickets that have been solved or otherwise, closed.